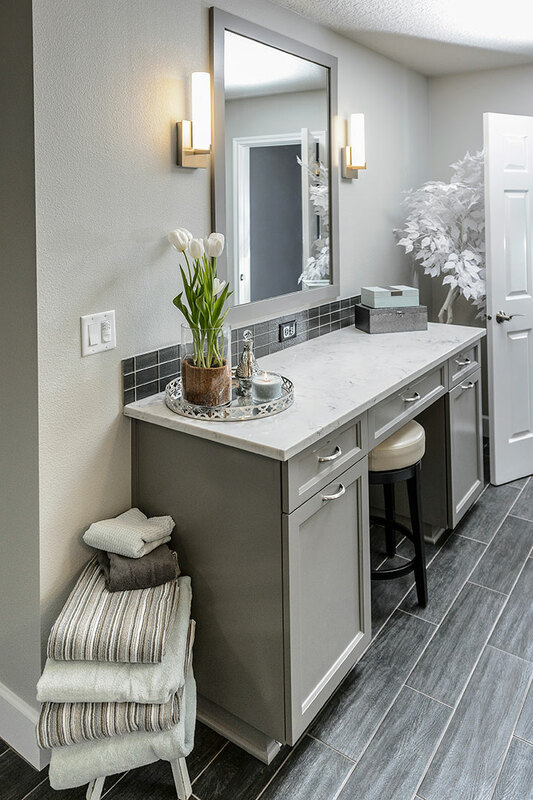 Beautiful bathroom remodels we’ve transformed for Beaverton, Portland & SW Washington homeowners. This 1992 master bathroom needed a refresh. 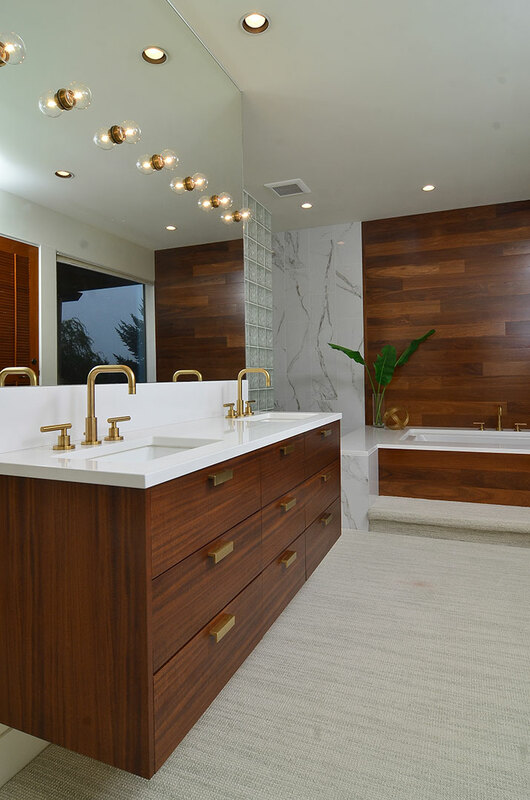 While the footprint remained the same, the dated, built-in bathtub was removed and a sleek, freestanding tub now elevates the space. 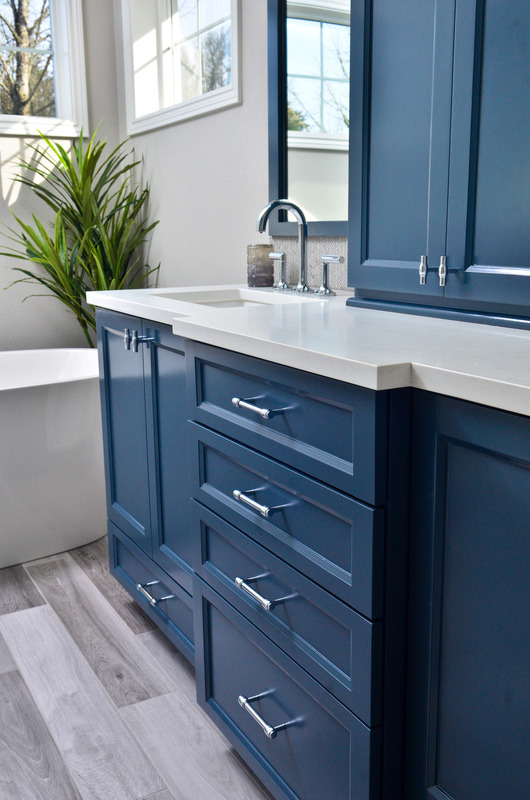 When our clients bought this 1987, single-level home in the country, the blue master bathroom was on the top of the list to remodel. 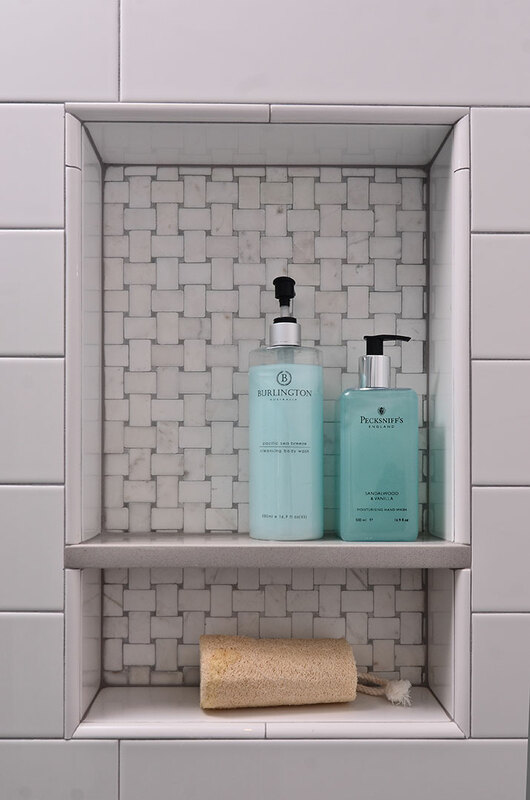 This 1979 master bathroom needed to be refreshed. While the existing footprint worked well, the new surfaces and materials provide a richness to the space. 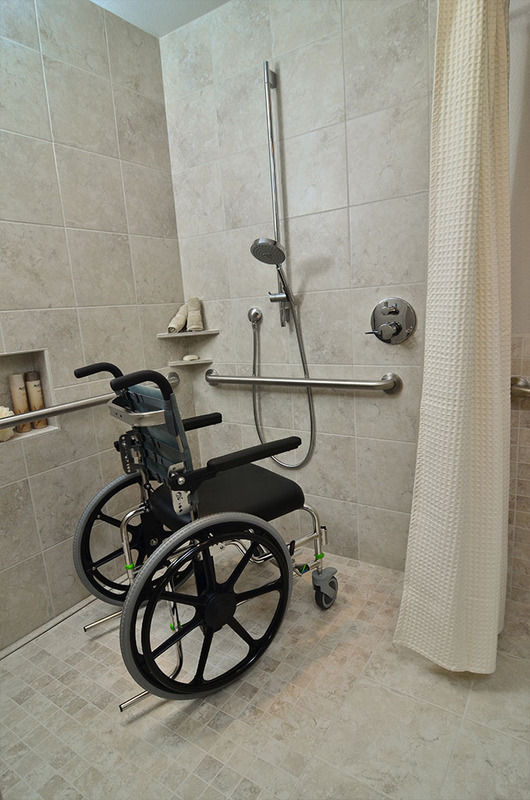 This King City master bathroom was remodeled to not only look beautiful but to be completely ADA compliant and wheelchair accessible. With a large area to work with, the goal was to better use the space and expand the walk-in closet. 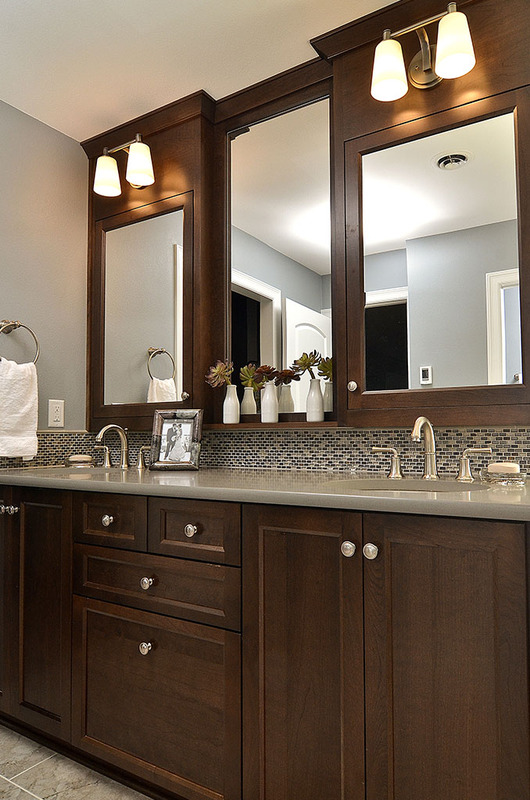 The master bath was reminiscent of the 1980s with dated tile, large tub and tired cabinets. 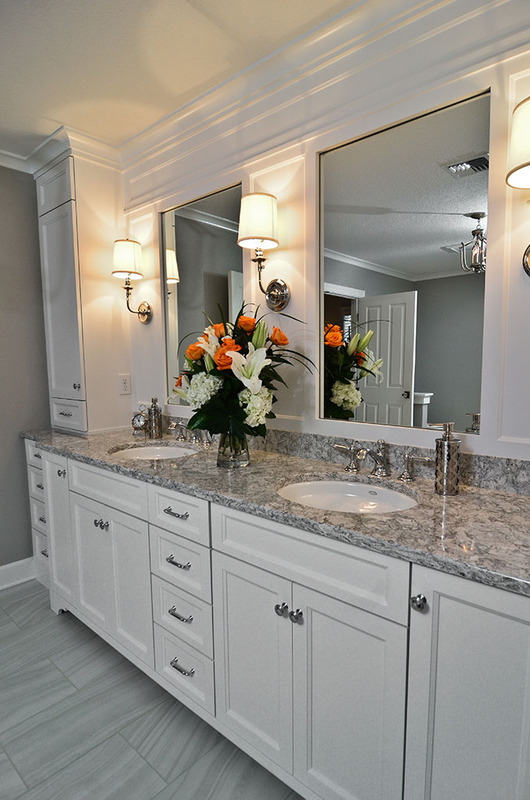 White tile countertops, tired, oversized, oak cabinets, wallpaper and carpet in the master bathroom are now a thing of the past.